With the kids off to college, it was time for Clarke, 56, and his wife, Jennifer, to make the dream a reality. 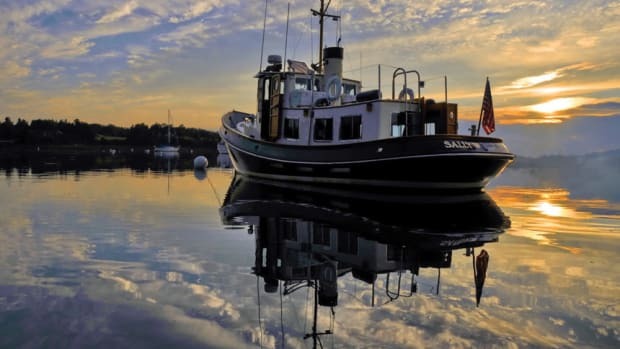 Two years ago, the Madison, Connecticut, couple stepped up from a 26-foot weekender to a full-fledged cruiser, the Back Cove 37 Downeast, a twin-cabin, single-diesel boat built in Rockland, Maine. 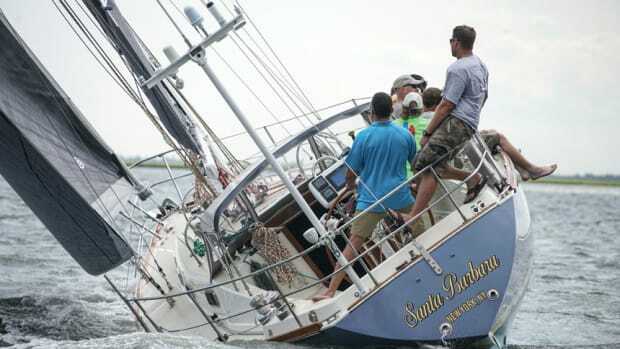 They made the voyage home from Portland, Maine, themselves, and they’ve been cruising ever since. Power is a single 600-hp Cummins diesel, which delivers a 23-knot cruising speed at 2,600 rpm. (Top end is around 27 knots.) Fuel use is 22 gallons an hour, according to Clarke’s figures. “She handles very well in rough seas; you just need to adjust your speed and trim for the conditions,” Clarke says. 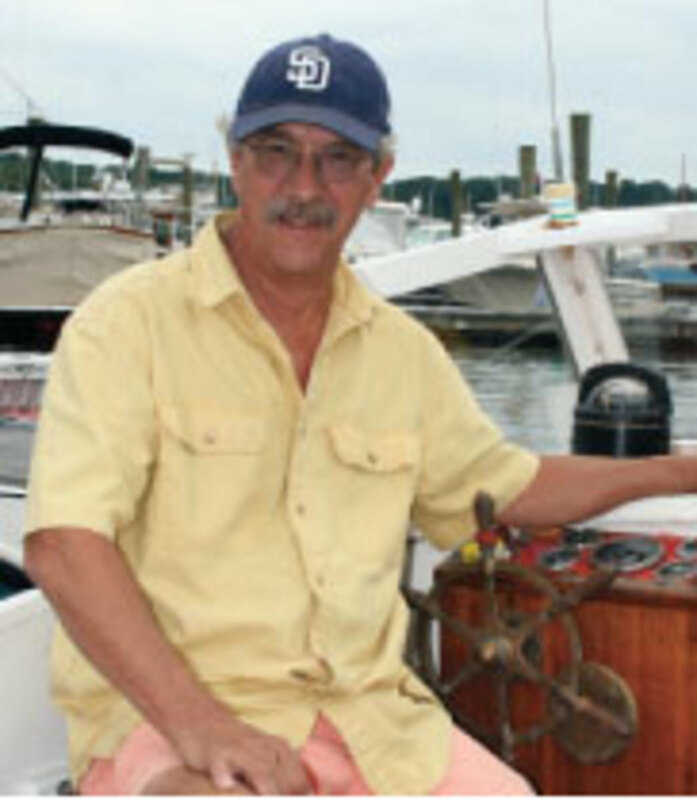 “On our trip home from Portland, coming out of Newport, we had some big seas, and she cruised like a dream. I never would have enjoyed that” in the 26-footer. 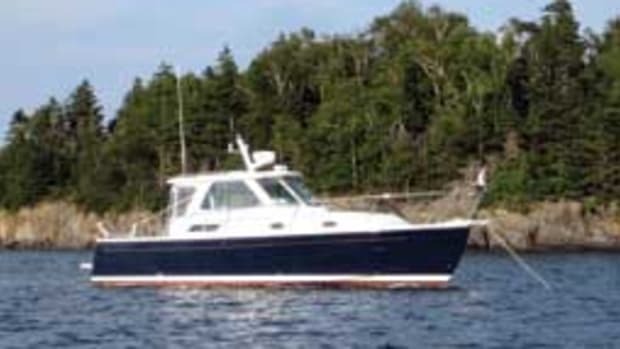 Built in Maine, the Back Cove 37 Downeast has a salty, uncluttered look, with a classic yacht interior below, with white panels and raised wood trim. 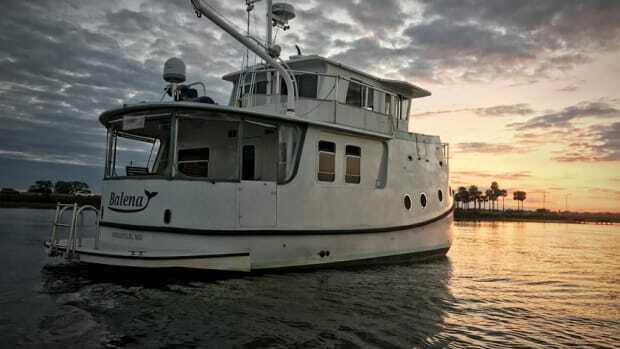 The layout has a master stateroom forward with an island berth, drawers and lockers for stowage, and an adjacent head compartment to port with a separate stall shower. Across the way, to starboard, is a guest stateroom with a double berth. 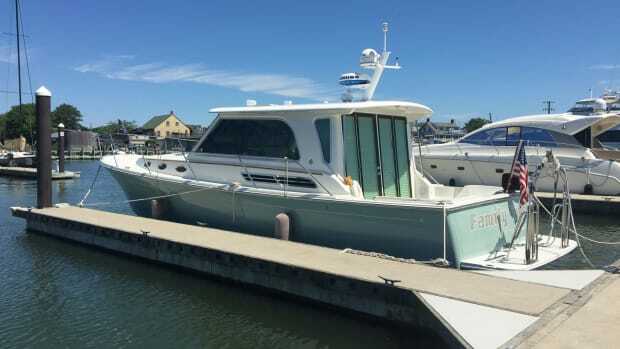 The galley is amidships to port with a standard microwave, refrigerator and freezer, along with a cooktop. The enclosed saloon has an L-shaped lounge with cocktail table, and seating opposite. 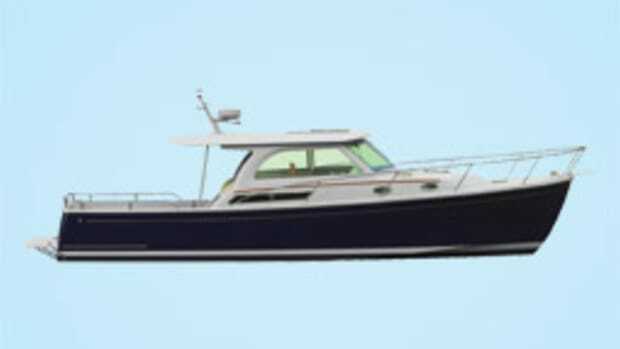 Companionway doors lead aft to the cockpit, where a transom door accesses the swim platform. In the elevated wheelhouse, the helm station is to starboard, with twin pedestal seats. There’s room for electronics and charts abaft the three-panel windshield. 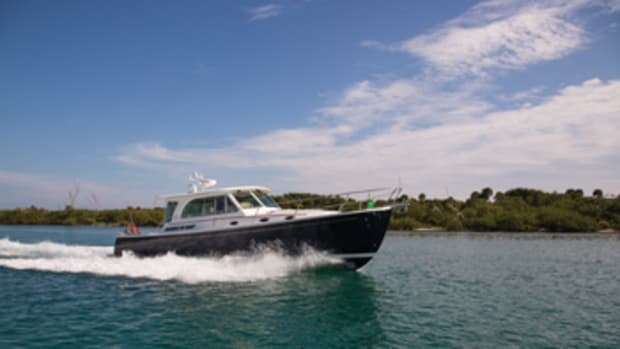 The standard 480-hp diesel provides a 20- to 25-knot cruising speed. (There is a 600-hp diesel option.) A bow thruster is standard. The 16-degree-deadrise hull is foam-cored. 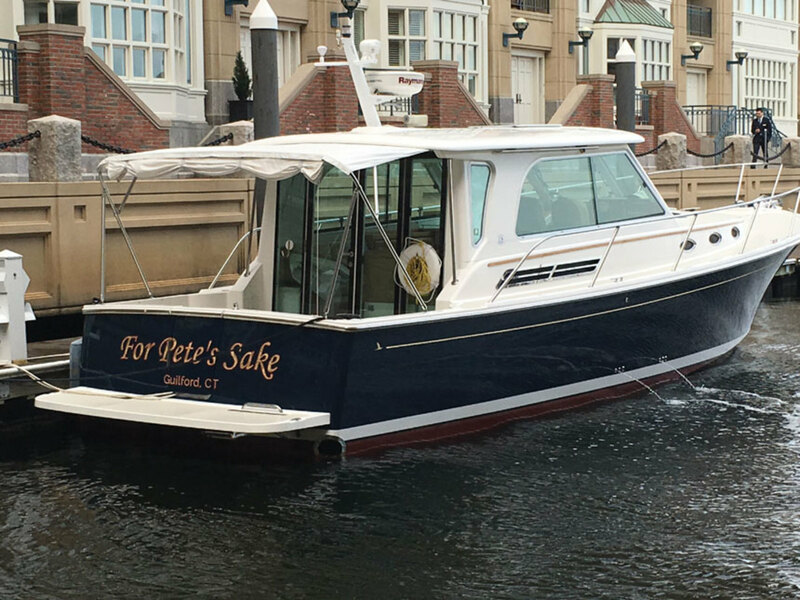 Since its founding in 2003, Back Cove Yachts has delivered more than 750 boats to such diverse places as Greece, Norway, Japan and Australia. 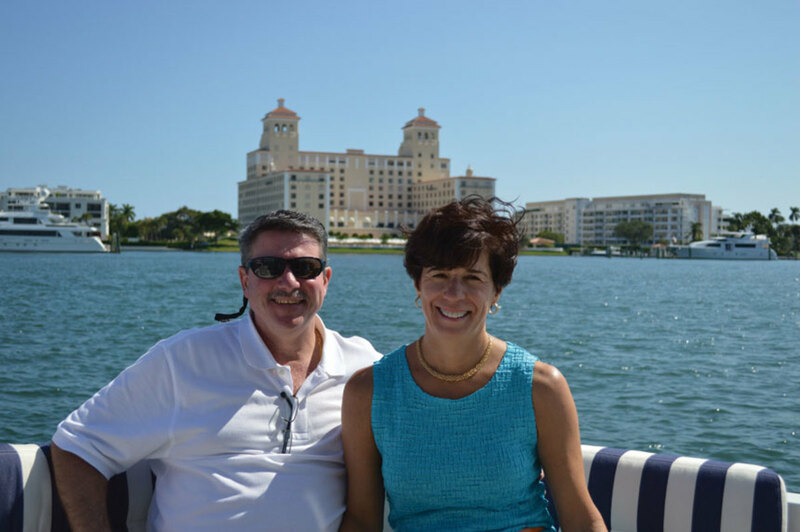 Utilizing vacuum infusion technology, Back Cove is a sister company to Sabre Yachts. 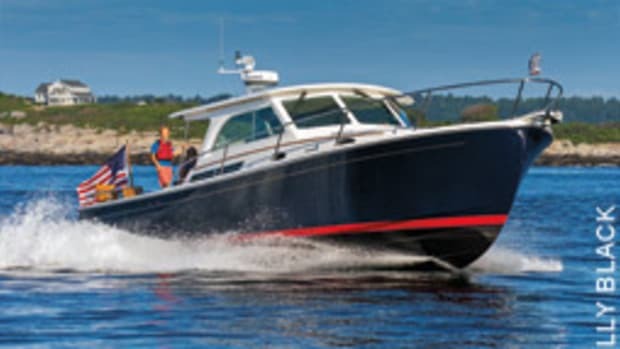 The Rockland, Maine, builder produces six models, from the Back Cove 30 to a 41-foot flagship. A 26-footer and a 29-footer have been retired.